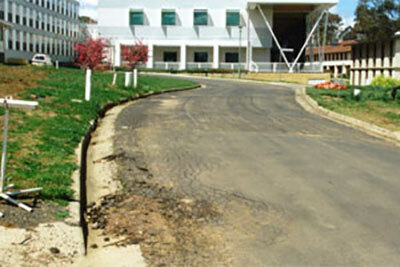 Local Government Engineering Services offer a range of road and highway design services. We have surveyed and designed highways, urban roads & rural roads all over NSW. Our clients include the NSW RMS, local governments, universities & developers. Pacific Highway (SH10) Tugun Bypass interchange with Kirkwood Road in Tweed Heads. New England Highway (SH9) at Sunnyside Rd near Tenterfield. Pacific Highway (SH10) at Cooperabung near Telegraph Point. Roundabout design at intersection of Oxley Highway (SH11) and Major Innes Road. Tweed Shire Council - Design of 3km section of Main Road 142 Kyogle Road near Uki. Greater Taree, Great Lakes & Gloucester Shire Councils - Survey and design of over 40km of MR90 The Bucketts Way, in several stages. Armidale-Dumaresq Council - Redesign of intersection of Main Road 76 Waterfall Way and Main Road 135 Guyra Road. Walcha Council - Design of realignment of 11km of Topdale Road near Nowendoc. Coonabarabran Shire Council - Survey and design of 23km of Main Road 129 between Coonabarabran and Prima. Tweed Shire Council - Design of widening of Leisure Drive, Banora Point. Port Macquarie Hastings Council - Street and drainage design of Castle Street, Laurieton. University of New England - Survey and design of university streets. Moree Plains Shire Council - Survey and design of 9 intersections in Moree, and traffic islands on the Newell Highway at South Moree. Greater Taree City Council - Survey and design of several road reconstruction projects within Taree and Wingham.